Dua spoke to vulnerable children and young people about the obstacles they face in their daily lives, in obtaining an education, and in finding jobs and opportunities. 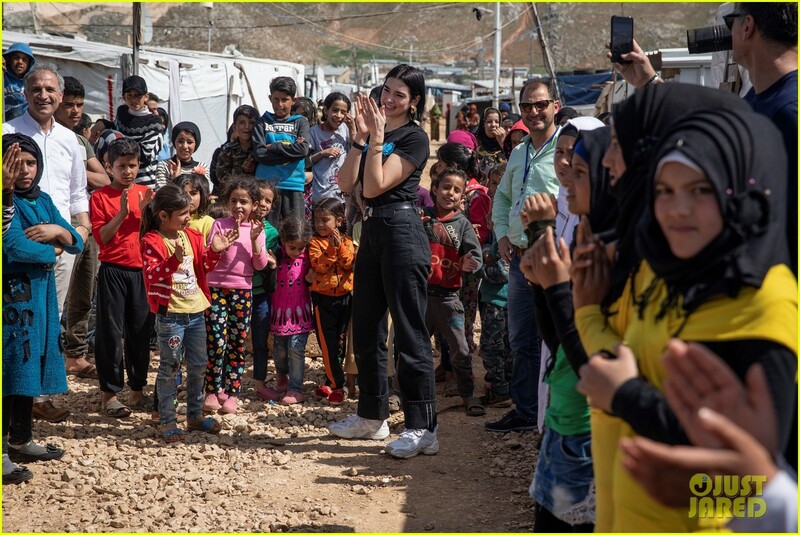 As part of her visit, Duavisited projects implemented in Terbol informal settlement in the Bekaa valley by Lebanese NGO LOST, a UNICEF youth partner organization. And people call her a terrible person. Why? Hopefully she'll continue working projects like this and not just a one-time thing like most Westerners do for their own self-gratification. Looking amazing while wearing little or no make up, and normal toned down clothes. She set up a free annual festival for her homecountry Kosovo, and the money they do make with the festival (through food and merch and stuff) goes to her Sunny Hill Foundation which helps children in Kosovo get better education and she’s already worked with UNICEF for World’s Children Day. She already does philanthropist work so this isn’t a one time thing for her. Coming for that next TIME cover.